Welcome to Earthed – a taster of the work that Friends of the Earth supporters are making possible right now. Meet the people, visit the places they care about, and take action to protect your environment. Scroll on – or read Earthed here (pdf). “Anyone who loves the English countryside should be concerned about fracking,” says record-breaking climber Pete Whittaker. Read on to meet a real rock star. “I’ve climbed in lots of stunning settings around the world. But climbing in the English countryside will always be special to me." Pete famously scaled the towering vertical rock known as El Capitán, at Yosemite National Park in the United States. Not only did he do it all-free rope solo – a particularly challenging technique on a notoriously difficult rock — he did it in less than 24 hours. The previous fastest time was 4 days. But while Pete spends much of his life clinging to cliffs high above ground, he’s got strong views on what’s going on below. Having grown up in the Peak District, Pete returned to his hometown of Sheffield last year to face up to a new challenge: fracking. Pete is referring to licences for exploratory drilling that could lead to fracking. More than 17,000 square kilometres of England is covered by licences to explore for oil and gas. These put large parts of the countryside at risk of industrialisation – including areas enjoyed by climbers, walkers, and mountain bikers. “I think we should stand up for our environment,” he says. Watch Pete speak out on the importance of nature and outdoor spaces – and the need to protect them from fracking. Ever heard of a beautiful community garden space falling into neglect when no one has time to look after it? Our Postcode Gardener scheme enables communities to hire a gardener to keep their public spaces and front gardens lush in a wildlife-friendly way. "I don’t think anyone really has a clue what Britain actually looks like," says geographer and explorer Dan Raven Ellison. "That’s a problem when people are making decisions about how we feed ourselves or how much more affordable housing we can build. Or, crucially, how much more space for nature we can have." "I had a simple idea. To go on a walk and make a short film that shows the United Kingdom in the correct proportions. "From above you start to see how hard it is to find any parts of this country where people haven’t had some kind of imprint on the landscape. "One of the most shocking things was realising that half of all the cereal crops you see in the countryside are fed to livestock. What else could we do with that land? "One in 7 species in the UK is at risk of extinction. Could we create more space for wildlife? Of course we can. The first step is to see clearly what this country looks like now. "I hope this film ignites a conversation about what we want the UK to look like – and what we want it to be like." 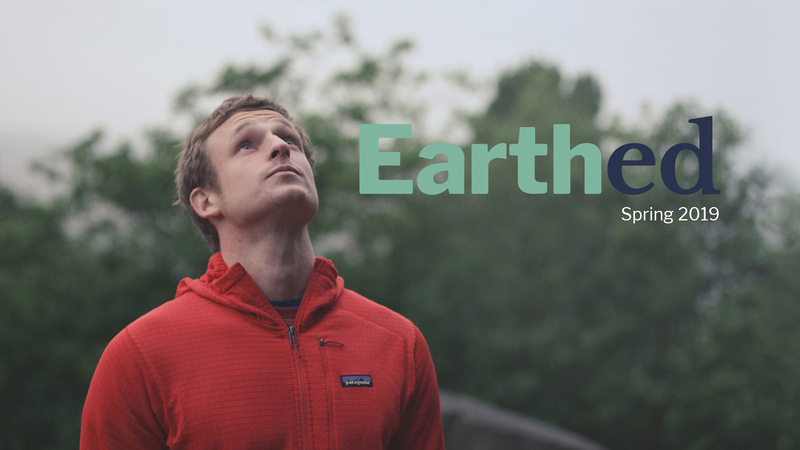 Watch Dan's film 'The UK in 100 Seconds', made in collaboration with Friends of the Earth. Since we began campaigning to help the bees in 2012, Friends of the Earth supporters have achieved some remarkable results. We persuaded the government to launch an action plan in 2014 – and more recently it backed the ban on 3 key bee-harming pesticides. And our citizen science project, the Great British Bee Count, helped champion better monitoring of bee populations. There's no official Bee Count this year – but it’s not too early to start planning summer trips to the UK’s best gardens and wild places where you can keep an eye out for our busy friends. Being carbon neutral, or net-zero, would mean removing as many emissions as we produce. To get there, the UK needs to produce much less pollution – but also remove climate-change gases from the atmosphere. The government could get us to net-zero by 2045 or sooner. Here are 5 things it should do. One way of freeing up land for wildlife-rich forests is to stop wasting so much of the food we grow. Countries like South Korea recycle a lot of their food waste by feeding it to livestock – so less land is needed to grow feed for animals. We’ll need lots more trees to absorb any carbon emissions left over – like from flying. Eating less and better meat will reduce demand on the land, and free up more space for forests (as well as being healthier). Going carbon neutral depends on phasing out polluting vehicles as soon as possible. We also need better public transport and safer cycling and walking so that more of us leave the car at home. Cleaner energy can replace coal, oil and gas in our electricity, heating and transport. We need a massive push for more onshore wind and solar power. Our clothes are shedding tiny bits of plastic – microfibres – that can escape into the oceans and potentially enter the food chain. Yum. Find out what we can do. Want to reduce climate-changing pollution and improve our quality of life? Free buses for under 30s is an idea whose time has come. Why we're going to the High Court to stop a third runway at Heathrow. Why not enjoy a nature spot near to home this summer? After all, Friends of the Earth supporters helped protect some of the best the UK has to offer. Our largest freshwater lake, where big skies and open stretches of water make for awesome sunrises and sunsets. Friends of the Earth is campaigning to end unlawful sand dredging. Wiltshire is stuffed with neolithic and bronze age wonders, from the curious Silbury Hill to the imposing West Kennet Long Barrow. Stonehenge is the centrepiece. Friends of the Earth is working with the Stonehenge Alliance against a road scheme which could jeopardise Stonehenge and Avebury’s world heritage status. These wetlands have survived the threat of 2 road schemes since the 1980s, thanks in part to Friends of the Earth campaigners. Listen for skylarks, swifts and swallows, and for turtle doves purring in the hedgerows – which breed at Otmoor. Our newest national park, designated in 2010 with the help of Friends of the Earth’s Brighton and Hove group and others. The South Downs Way stretches for 100 miles and offers spectacular views. Miles of pristine coastline between Amble and Cresswell that we’re trying to protect from a new coal mine. Listen for the grasshopper warbler in the evenings. Why not share Earthed with friends?